This has been a year of catastrophes: hurricanes, high winds, floods and fires. Loss figures that are still being compiled likely will have an influence on commercial insurance rates next year. But to what extent rates will change, no one knows at this point. “You can’t talk about the year without talking about the three hurricanes as well as what the impact of the fire in Napa Valley will have on the insurance industry,” says John Stanchina, president and CEO of the Mid-Atlantic Region of Marsh & McLennan Agency. He describes 2017 as a “tale of two halves” for the insurance industry. “In general, commercial insurance has remained soft across the board as it relates to most pricing,” he says. The natural disasters that occurred during the latter half of the year may change that cycle. “We are watching to see what happens with reinsurance renewals so we can see what happens to property reinsurance rates,” says David Schaefer, president and CEO of AHT in Leesburg. Reinsurance involves insurers transferring some of their risks to other companies. 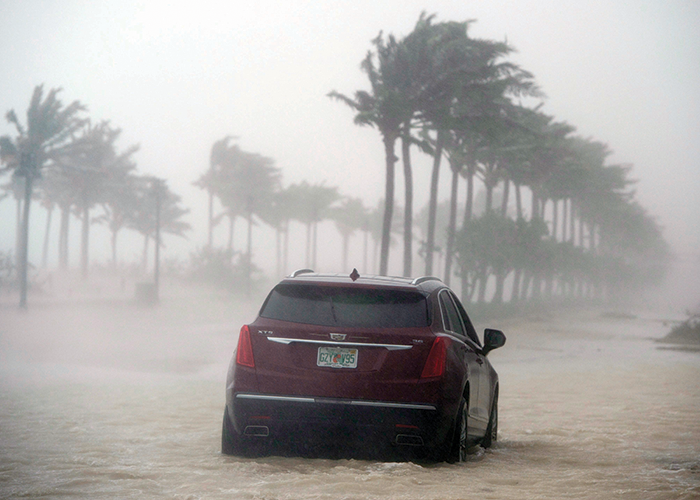 In October, Switzerland-based reinsurer Swiss Re Group estimated total insurance market losses from hurricanes Harvey, Irma and Marie at about $95 billion. Catastrophe-risk modeling company RMS estimates an economic loss range of $3 billion to $6 billion for the fires in California and expects insured losses from the Mexico earthquake in September to total around $1.2 billion. By October, fires had destroyed more than 3,500 homes and businesses. That number doesn’t account for losses caused by business interruptions. “Wineries had to shut down, and hotels closed for an extended period of time,” Stanchina says. This year’s commercial insurance market was a reflection of last year’s buyer’s market. 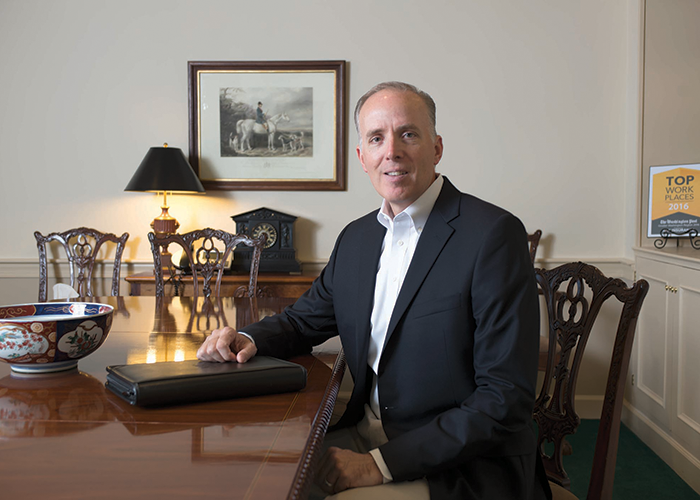 “On the property/casualty side, which includes workers’ compensation, rates were flat to slightly down with the exception of commercial automobile insurance and some specialty coverages such as cyber liability,” says Curt Hodges, Richmond-based vice president of marketing for Lynchburg-based Scott Insurance. On the flip side, general liability insurance pricing was down this year as was the cost of workers’ compensation coverage. “Most accounts were seeing their overall premiums range from a 5 percent decrease to a 2 percent increase,” Fleming says. More and more companies are looking at cyber insurance this year, especially after Equifax announced a breach in September that could cost insurers an estimated $125 million. “Both at the corporate level and the personal level, people are thinking about their risk or exposure,” says Stanchina. Cyber events can originate from a subcontractor or anyone that has access to a company’s electronic data. One of the larger expenses for companies is health insurance. With rates steadily climbing, many companies are looking for less expensive options, such as self-funded programs. In a traditional insurance plan, the insurance company takes the risk and covers all medical costs. In a self-funded plan, the employer takes the risk of paying claims. If claims go above a certain level, the costs are covered by an underwritten insurance plan. Smaller companies have refrained from this type of model in the past because the cost is “too unpredictable,” Herbert says, noting the Bon Secours Value Network is a hybrid self-funded, “level-funded” model. The commercial insurance industry will be watching next year to see how the market fares in all areas, including health insurance. “I don’t think anyone is expecting anything dramatic either up or down in terms of rates yet,” Fleming says. 1 For 2016 WND: Would not disclose Note: This list first ran in March 2017. Source: Individual firms.